Other beads There are 2 products. 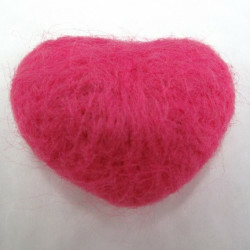 Large pink felt heart, approx 55 x 45 mm. These do not have a hole, but it is easy enough to push a headpin or firm wire through. Large big holed bead. Pack of 2. Large big holed bead. Pack of 2. 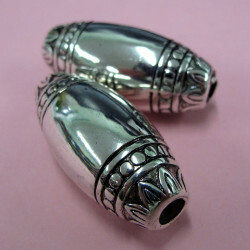 These are a plastic bead with a bight antique silver finish. Approx 39 x18mm.. Hole approx. 5mm.